For a few days, Rapunzel can't hear well and she is very upset about it. More than that, she feels a terrible pain in her ear, so would you like to take her to the hospital to see what's wrong with her ear? 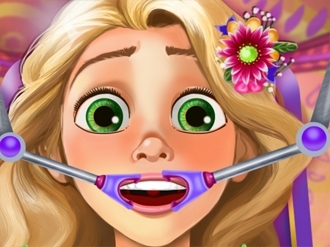 Run a few tests and disinfect your ear using the doctor tools that you have at your disposal and Rapunzel will definitely feel better. Good luck!